For the last three years, the BSU has organised a PhD Symposium, a special, complimentary event, organised solely by a small group of PhD students at the Unit, with a full programme of speakers and attended by Cambridge collaborators, as well as staff and students from the Unit. This year, the symposium took place on Wednesday 17th October at the Clifford Allbutt Lecture Theatre. The overall theme was on casual inference, with Professor Philip Dawid from the Statistical Laboratory at the University of Cambridge, giving the keynote address. 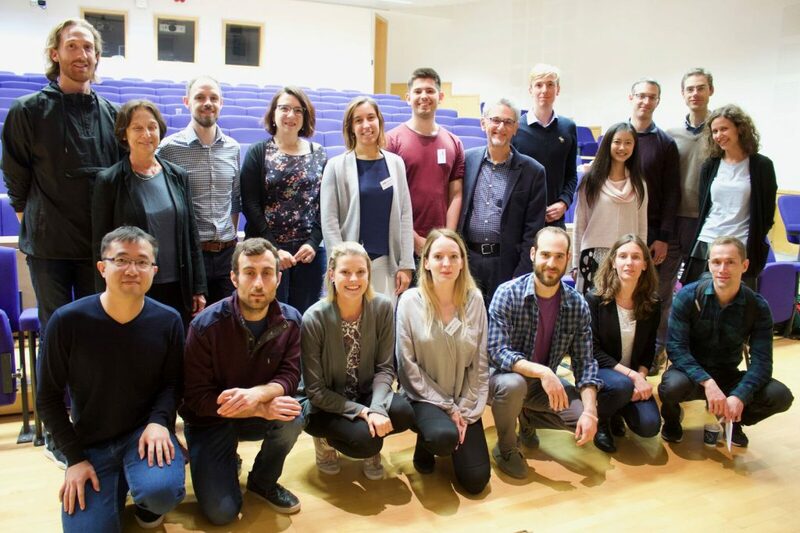 The scientific programme covered the diverse interests of the Unit, with internal and external speakers addressing causal inference questions from several different perspectives. 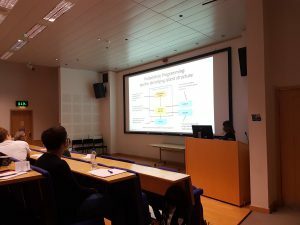 The morning session focused on formal statistical frameworks for causal inference, regression discontinuity designs, methods for time-dependent confounding and Mendelian randomisation, with speakers from the MRC BSU, London School of Economics and Political Science and Imperial College London. The afternoon session explored machine learning perspectives on causality, colocalization, causal networks and causality in observational time-series data, covered by speakers from Microsoft Research Cambridge and MRC BSU. As well as interesting talks and discussion, the symposium successfully facilitated the development of new project ideas and collaborations.